Brochure websites typically consists of standard static web pages (home, about us, contact us, products and services and some pictures). Brochure websites do not impress search engines. Creating new valuable content regularly (From Google Webmaster Guideline 1.4) is critical to their algorithm . Brochure website; they just DO NOT WORK! The following image compares features and functionalities between a brochure website Vs. business website. Our All-in-ONE solution: business website + sales management solution. 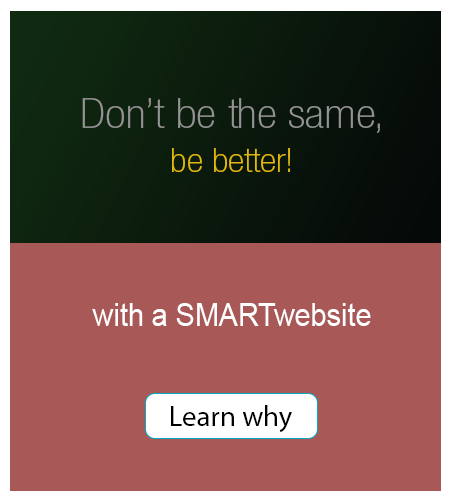 dotFRONT SmartWebsite - an All-in-One solution: Integrates common business and marketing applications into one interface (Responsive website, Sales, Invoicing, Customer Relationship Manager, Scheduling, Marketing) to help you convert visitors into leads, and leads into customers to grow sales! To learn about dotFRONT SmartWebsite a sales management solution click here. To schedule a personalized demo or for a FREE consultation call us at: 954.707.6928, or click here to drop us a line.